Explore the numerous day-trip ideas around Gatlinburg: Cades Cove (in Great Smoky Mountains National Park) and River Rafting & Tubing (in Hartford). Pack the 29th (Wed) with family-friendly diversions at The Island in Pigeon Forge. There's much more to do: find something for the whole family at Smoky Mountain Alpine Coaster, examine the collection at Titanic Museum Attraction, brush up on your knowledge of spirits at Sugarlands Distilling Company, and kick your exploration up a notch at some of the top local zipline courses and adventure parks. For maps, traveler tips, where to stay, and other tourist information, read our Gatlinburg online trip maker . Buffalo to Gatlinburg is an approximately 6.5-hour combination of flight and taxi. You can also do a combination of train, flight, and taxi; or drive. Plan for a bit warmer temperatures traveling from Buffalo in May, with highs in Gatlinburg at 79°F and lows at 57°F. Finish your sightseeing early on the 30th (Thu) so you can travel to Hilton Head. Discover out-of-the-way places like Speed Boats Tours and Alder Lane Beach Access. There's much more to do: trek along Hilton Head Island Bike Trails, zoom along the surf with a waterskiing or jet-skiing adventure, look for all kinds of wild species at Islanders Beach Park, and tour the pleasant surroundings at Burkes Beach. For other places to visit, maps, and other tourist information, refer to the Hilton Head trip itinerary builder site . Traveling by combination of taxi and flight from Gatlinburg to Hilton Head takes 5.5 hours. Alternatively, you can do a combination of taxi and flight; or drive. Plan for a bit warmer nights when traveling from Gatlinburg in May since evenings lows in Hilton Head dip to 66°F. Wrap up your sightseeing on the 3rd (Mon) early enough to travel to Marathon. 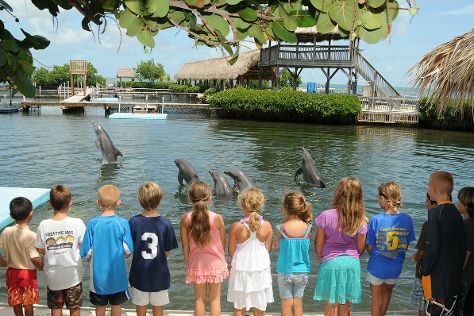 You'll explore the less-touristy side of things at Dolphin Research Center and Sombrero Beach. Change things up with these side-trips from Marathon: Stand-Up Paddleboarding (in Big Pine Key) and Fishing Charters & Tours (in Islamorada). There's still lots to do: choose your vessel at Island Time Boat Rental, immerse yourself in nature at Bahia Honda State Park, and look for all kinds of wild species at The Turtle Hospital. To find traveler tips, maps, reviews, and other tourist information, refer to the Marathon attractions site . You can do a combination of flight and bus from Hilton Head to Marathon in 8 hours. Alternatively, you can do a combination of bus, flight, and shuttle; or drive. Traveling from Hilton Head in June, you can expect nighttime temperatures to be somewhat warmer in Marathon, with lows of 79°F. Cap off your sightseeing on the 6th (Thu) early enough to catcht the bus to Key West. You'll discover tucked-away gems like Dolphin & Whale Watching and Vandenberg Wreck. 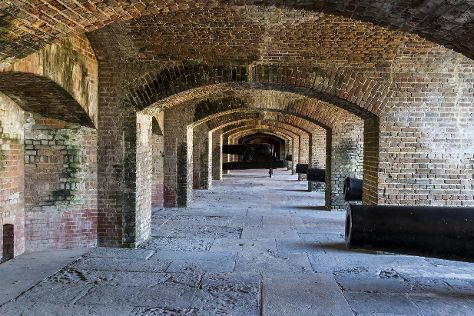 Spend the 8th (Sat) exploring nature at Dry Tortugas National Park. The adventure continues: identify plant and animal life at Key West Butterfly & Nature Conservatory, contemplate the long history of Truman Little White House, explore and take pictures at The Overseas Highway, and immerse yourself in nature at Fort Zachary Taylor. To see reviews, where to stay, ratings, and other tourist information, go to the Key West day trip planning tool . Traveling by bus from Marathon to Key West takes 1.5 hours. Alternatively, you can drive. In June, daily temperatures in Key West can reach 88°F, while at night they dip to 79°F. Finish up your sightseeing early on the 10th (Mon) so you can travel to Moab. You'll explore the less-touristy side of things at Canyoning & Rappelling Tours and Hurrah Pass Road. Change things up with these side-trips from Moab: Canyonlands National Park (Elephant Hill & Cave Spring) and Arches National Park (Double Arch & Turret Arch). On the 11th (Tue), dedicate a day to the elevated beauty of Arches National Park. Make the 13th (Thu) an unforgettable day with an extreme tour. There's still lots to do: trek along Hidden Valley Trail, explore the striking landscape at Looking Glass Arch, immerse yourself in nature at Dead Horse Point State Park, and take in the awesome beauty at Double Down Bike Shop. To see traveler tips, other places to visit, ratings, and tourist information, use the Moab trip itinerary site . You can do a combination of flight and car from Key West to Moab in 11 hours. Other options are to fly; or drive. You'll gain 2 hours traveling from Key West to Moab due to the time zone difference. Traveling from Key West in June, you will find days in Moab are a bit warmer (95°F), and nights are slightly colder (61°F). Cap off your sightseeing on the 15th (Sat) early enough to go by car to Page. 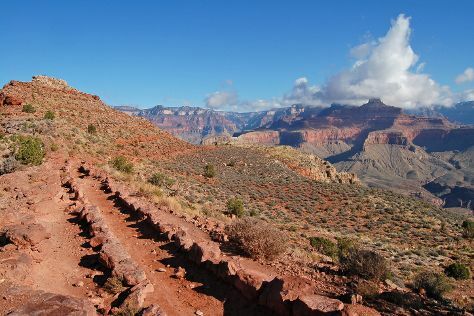 Explore hidden gems such as South Kaibab Trail and Northern Arizona Guide Service. Get out of town with these interesting Page side-trips: River Rafting & Tubing (in Marble Canyon), Monument Valley Navajo Tribal Park (in Monument Valley) and Moran Point (in Grand Canyon National Park). Spend the 18th (Tue) exploring nature at Glen Canyon National Recreation Area. There's still lots to do: explore the striking landscape at Paria Canyon Wilderness Area, take in breathtaking views at Antelope Canyon, get a new perspective on things with All In Boat Rentals, and admire all the interesting features of Horseshoe Bend. To see more things to do, traveler tips, reviews, and tourist information, read our Page tour itinerary planner. Traveling by car from Moab to Page takes 5 hours. Alternatively, you can do a combination of bus and taxi. Expect a bit warmer evenings in Page when traveling from Moab in June, with lows around 69°F. Finish your sightseeing early on the 20th (Thu) so you can travel to Crater Lake National Park. Reaching a depth of 592 m (1,943 ft), Crater Lake is the deepest lake in the United States. You'll explore the less-touristy side of things at Crater Lake National Park and Sun Notch Trail. There's still lots to do: tour the pleasant surroundings at Garfield Peak, trek along Annie Creek Canyon, admire the sheer force of Plaikni Falls, and take in the awesome beauty at Watchman Peak. To find ratings, traveler tips, more things to do, and more tourist information, refer to the Crater Lake National Park trip itinerary site . Do a combination of flight, bus, and taxi from Page to Crater Lake National Park in 10 hours. Alternatively, you can do a combination of car, flight, train, and taxi; or drive. The time zone difference moving from Mountain Standard Time (MST) to Pacific Standard Time (PST) is minus 1 hour. Traveling from Page in June, expect Crater Lake National Park to be a bit cooler, temps between 86°F and 55°F. Finish up your sightseeing early on the 24th (Mon) so you can travel to Kailua-Kona. Discover out-of-the-way places like Hapuna Beach State Recreation Area and Manini'owali Beach (Kua Bay). Explore the numerous day-trip ideas around Kailua-Kona: Honaunau (Honaunau Bay & Pu'uhonua O Honaunau National Historical Park) and Upolu Point (in Hawi). The adventure continues: don't miss a visit to Saddle Road, have some family-friendly fun at Hawaii Laser Tag, look for all kinds of wild species at Wildlife Areas, and take your sightseeing to a higher altitude at Mauna Kea. For ratings, where to stay, more things to do, and more tourist information, read our Kailua-Kona online day trip planner . Do a combination of car and flight from Crater Lake National Park to Kailua-Kona in 12 hours. Alternatively, you can do a combination of taxi, bus, and flight; or do a combination of taxi, train, and flight. Due to the time zone difference, you'll gain 2 hours traveling from Crater Lake National Park to Kailua-Kona. Traveling from Crater Lake National Park in June, Kailua-Kona is a bit warmer at night with lows of 74°F. Wrap up your sightseeing on the 29th (Sat) to allow time to travel to Kihei. You'll explore the less-touristy side of things at Stand-Up Paddleboarding and Napili Beach. Explore the numerous day-trip ideas around Kihei: Zipline (in Ka'anapali), Lahaina (Lahaina Banyan Court & Ka'anapali Beach) and Haleakala Crater (in Haleakala National Park). And it doesn't end there: tour the pleasant surroundings at Wailea Beach, admire nature's wide array of creatures at Maui Ocean Center, enjoy the sand and surf at Sugar Beach, and see majestic marine mammals with a dolphin and whale watching tour. To find ratings, maps, where to stay, and tourist information, read our Kihei trip builder tool . Traveling by combination of flight and taxi from Kailua-Kona to Kihei takes 2.5 hours. Alternatively, you can do a combination of bus, taxi, and flight; or do a combination of bus, flight, and taxi. June in Kihei sees daily highs of 87°F and lows of 71°F at night. Wrap up your sightseeing on the 4th (Thu) early enough to travel to Hanalei. Hanalei is a census-designated place (CDP) in Kauai County, Hawaii, United States. You'll discover tucked-away gems like Scuba & Snorkeling and Kalalau Trail. Explore Hanalei's surroundings by going to Dolphin & Whale Watching (in Eleele), Waimea Canyon State Park (in Waimea) and Kauai Coffee Company (in Kalaheo). Next up on the itinerary: immerse yourself in nature at Na Pali Coast State Park, add some adventure to your tour with a kayaking and canoeing tour, kick back and relax at Poipu Beach Park, and stroll through Hanalei Beach. To find where to stay, photos, reviews, and tourist information, use the Hanalei travel planner. You can do a combination of taxi and flight from Kihei to Hanalei in 2 hours. Traveling from Kihei in July, expect nights in Hanalei to be about the same, around 74°F, while days are a bit cooler, around 84°F. Finish your sightseeing early on the 9th (Tue) to allow enough time to travel to Juneau. You'll explore the less-touristy side of things at Tracy Arm Fjord and Pack Creek. And it doesn't end there: get interesting insight from Tours, trek along Gold Creek Flume Trail, stroll through Treadwell Historic Mine Trail, and identify plant and animal life at Pack Creek on Admiralty Island. To find photos, reviews, other places to visit, and tourist information, read Juneau visit planner. Getting from Hanalei to Juneau by combination of taxi and flight takes about 12.5 hours. Due to the time zone difference, you'll lose 1 hour traveling from Hanalei to Juneau. Prepare for much colder weather when traveling from Hanalei in July: high temperatures in Juneau hover around 63°F and lows are around 52°F. Cap off your sightseeing on the 14th (Sun) early enough to travel to Yellowstone National Park. You'll discover tucked-away gems like Lamar Valley and Lake Butte Overlook. There's lots more to do: explore the activities along Shoshone Lake, take in the natural beauty of Solitary Geyser, head outdoors with Morning Glory Pool, and explore the stunning scenery at Grand Canyon of the Yellowstone. 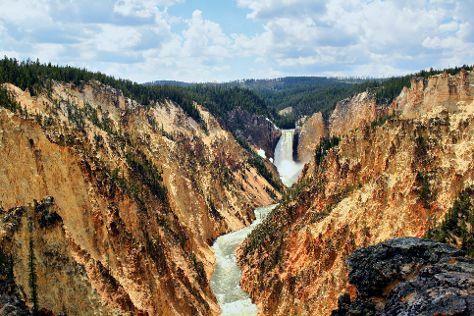 To see maps, ratings, reviews, and more tourist information, go to the Yellowstone National Park travel route tool . Do a combination of flight and car from Juneau to Yellowstone National Park in 8.5 hours. Alternatively, you can do a combination of flight, shuttle, and bus; or do a combination of flight, shuttle, and car. Traveling from Juneau to Yellowstone National Park, you'll lose 2 hours due to the time zone difference. Expect a bit warmer weather when traveling from Juneau in July: highs in Yellowstone National Park hover around 73°F, while lows dip to 39°F. Finish your sightseeing early on the 19th (Fri) to allow enough time to drive to Jackson Hole. The Jackson Hole valley is approximately 97 km (60 mi) long and 24 km (15 mi) wide, encompassing the town of Jackson, Teton Village, and the northern section of Grand Teton National Park. Eschew the tourist crowds and head to Grand Teton and Amphitheater Lake. 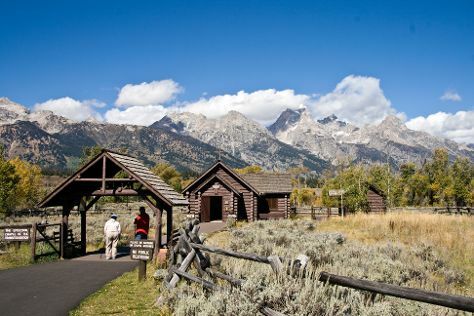 Go for a jaunt from Jackson Hole to Moose to see Glacier View Turnout about 36 minutes away. Next up on the itinerary: stroll through String Lake, explore the striking landscape of Jackson Lake Overlook, explore the stunning scenery at Death Canyon, and appreciate the views at Leigh Lake. To find other places to visit, where to stay, ratings, and more tourist information, read Jackson Hole trip planner. You can drive from Yellowstone National Park to Jackson Hole in 2 hours. When traveling from Yellowstone National Park in July, plan for a bit warmer days and about the same nights in Jackson Hole: temperatures range from 79°F by day to 44°F at night. Wrap up your sightseeing by early afternoon on the 25th (Thu) to allow time for travel back home.